Yet, as former HMI Prof Colin Richards points out, no subjects other than mathematics and English are specifically mentioned in the inspection handbook. Instead, there is a vaguely expressed requirement that, when evaluating the design and implementation of the curriculum, inspectors should ensure that this contains “breadth and balance”. As Richards argues, this requirement becomes meaningful only if there is political and professional consensus over the criteria by which the breadth or otherwise of schools’ curricula can be judged. Recently, I was having dinner with some friends who included two recently retired primary head teachers. One of these mentioned that, in his experience, the support of a professional consensus is very important when deciding the teaching policies of a school. One might disagree with aspects of this consensus, he said, but it was important that it should be in place, to provide an agreed framework for professional effort. It struck me that it is the absence of such a consensus that is at the root of the present crisis in education in England. As Estelle Morris writes in yesterday’s Guardian: “Teachers are working with a curriculum, assessment and pedagogy that are increasingly directed by ministers’ own priorities and prejudices”. Thirty years ago, as Colin Richards reminds us, HMI forged a consensus around “breadth and balance” by arguing that primary and secondary schools should involve all children in nine areas of experience and learning throughout the age-range 5 to 16. Within this consensus, schools and teachers were free to interpret the ways in which these areas of experience and learning might be implemented in particular classrooms. How different the situation is today. We no longer have the structures to achieve professional and political consensus. The consultative bodies within which teachers, inspectors and politicians discussed the curriculum – the Schools Council, Secondary Education and Assessment Committee, Qualifications and Curriculum Authority – have all been abolished. In their place we have the Department for Education, which effectively implements the diktats of the Secretary of State for Education. In these circumstances, “breadth and balance” is little more than dimly remembered mantra from a former age. Within the new order, what matters is not experience and learning but “skills”. The primary skills are literacy and numeracy: the former subjects of English and mathematics, but with ministerially prescribed content. Within the new curriculum hierarchy, creativity is confined to the so-called creative subjects (art, music, drama but not English) that stand outside the “core academic subjects” that comprise the EBacc. Assessment by periodic national testing (the SATs) and GCSE (age 16) and A level (age 18) examinations emphasises memorisation and learning for the test. Private providers of instructional and testing materials and procedures, such as Pearson, are heavily involved in the delivery and assessment of this curriculum. In the UK, teachers of English are increasingly preoccupied by the need to prepare students for the new tests in language and grammar “skills” which now have to be taken periodically from the early years (age 5) through to GCSE (age 16). There is a particular symbolic significance in these tests. 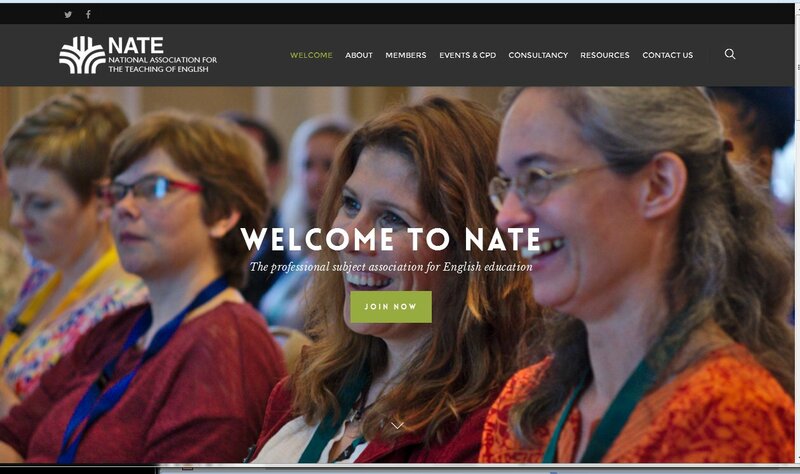 For 50 years, the consensus among English teachers has been that the teaching of formal English grammar as a discrete aspect of English has little or no positive effect on students’ ability to write fluently, coherently and effectively. Grammar, or knowledge about language, did not disappear from the classroom: it has always been part of the national curriculum, and A-level English language, introduced in 1985, is still a growth subject. 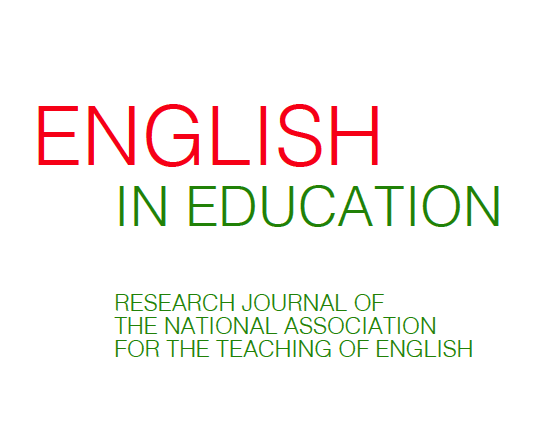 Formerly, however, English teachers had discretion, supported by a professional consensus, in the extent to which they incorporated explicit grammatical instruction within their teaching. Work by the Grammar for Writing team at Exeter University, which demonstrated ways in which applying grammatical knowledge within the drafting process can help children improve their writing, has recently become part of this consensus. Today, however, teachers and students face a quasi-theological grammatical apparatus that has to be memorised in order to answer test questions. These curriculum and assessment changes derive not from the education profession but from what Jory Brass (following Foucault) calls “governmentality”. This word combines notions of “government” and “mentality” into a single term to identify political strategies to direct the conduct of the governed towards particular ends. Michael Rosen believes that the obscurity of the spelling, punctuation and grammar tests will result in more schools’ appearing to fail and thus requiring to be transformed into academies, thus supporting the government’s intention to privatise the forms and structures of education as far as is possible. 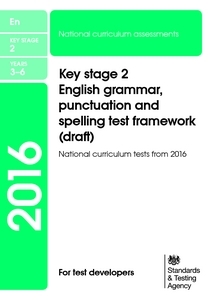 It also seems to me that a more immediate result of these tests – which introduce a further element in the assessment of English beyond the traditional domains of speaking and listening, reading and writing – will be to withdraw cultural capital from numbers of young people who formerly achieved satisfactory results in English. This will be justified in the name of “standards”. It is worth remembering that, in 2012, the Office of Qualifications (Ofqual) put pressure on the assessment authorities (examination boards) to raise the threshold for grade C (the “passing” grade) in GCSE English. Despite an enormous protest, including legal action, by parents, local authorities and subject associations, this move was accepted as a legitimate attempt to “raise standards”. These are not the “standards” that would be supported by a professional consensus that genuinely sought a broad and balanced education for our young people. Government requires the acquiescence of the governed. To resist these developments, we need a professional consensus against governmentality.